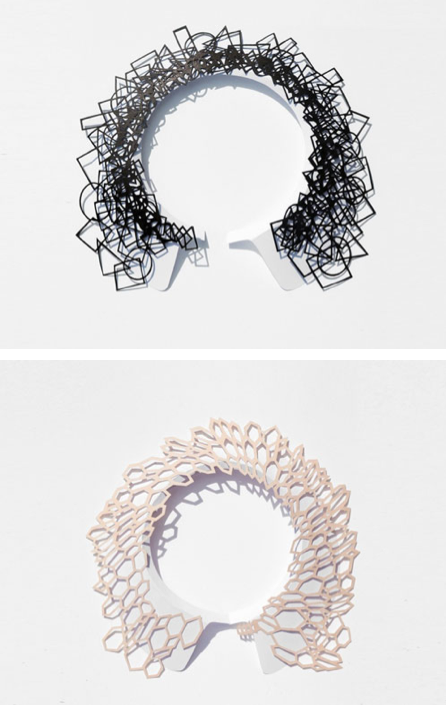 What stunning paper jewelry pieces – we’re already waiting for ours to arrive in the studio! But to start at the beginning: Logical Art is a London-based design studio run by Hanhsi Chen and Yookyung Shin who started to work together after graduating from the Royal College of Art. The duo just launched a new project – Air Tattoo – on the crowd funding website Kickstarter. You can still support the project on Kickstarter by pre-ordering your very own Air Tattoo until September 9, 2012. 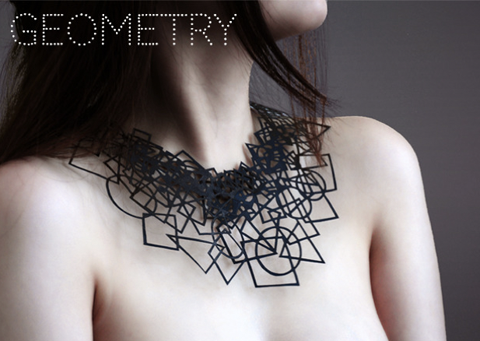 Air Tattoo is a collection of wearable delicate drawings. 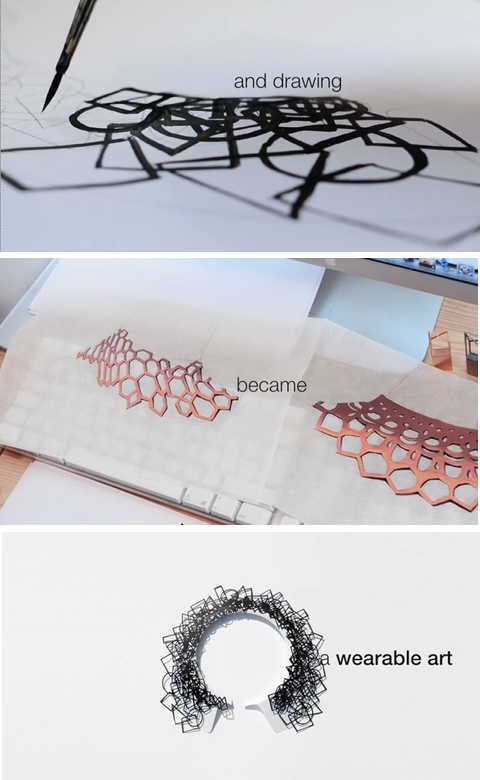 The original material that was drawn onto – paper – becomes the piece itself in the transformtion process from drawing to piece of jewelry. The idea behind this project was to convert delicate hand-drawn patterns into air-like “tattoos” or in other words to produce stunning paper-cuts that can not only be framed and put onto the walls but that you can wear every day. One of the questions the PaperPhine studio faces most often is if paper and paper yarn weren’t to fragile to be worn as jewelry. The Logical Art studio faced the same question so they set out to find a suitable paper for their purpose because they absolutely wanted to use paper to keep the quality of the delicate drawings. They say that “We managed to find a kind of special eco-friendly paper. The paper keeps all the great quality of normal paper (soft texture, light weight, beautiful tension), yet it is very strong. It is water-resistant / tear-resistant material as you can see from the video. We completed material tests already. Strong enough to wear, even for rainy days. You can wear Air Tattoo multiple times unless you try hard to tear it.” And once more it has to be added that the toughness of paper should never be underestimated. 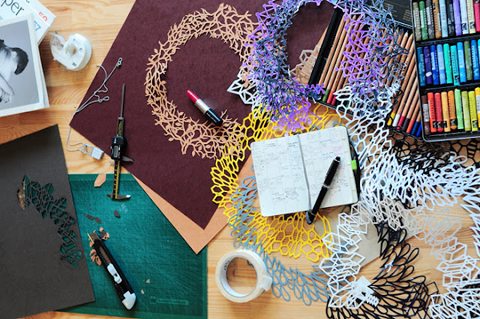 Definitely a project all paper-lovers should back on Kickstarter! Yes we are waiting too here in Denmark – prefer the Black Geometry model. So great paper project.